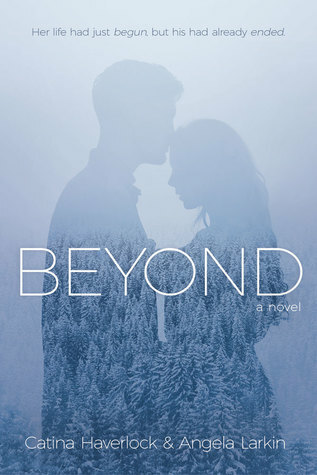 Beyond by Catina Haverlock & Angela Larkin. Audience/Genre: Young Adult, Clean Romance, Fantasy. Publication: June 13th 2017 by Cedar Fort, Inc. 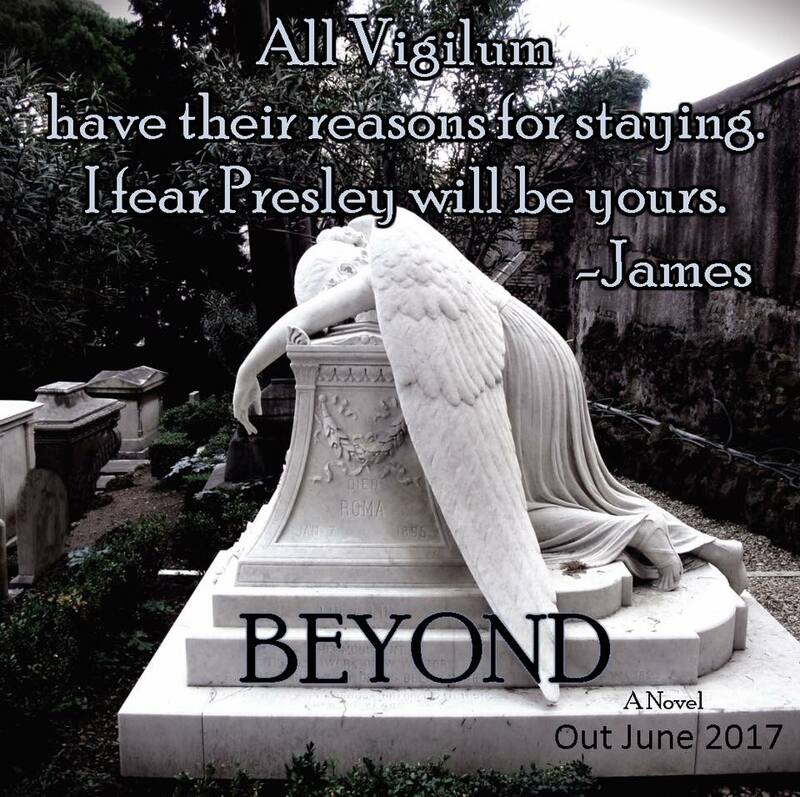 Beyond is different than any book I have read. I didn’t think the ending would be like it was either. That ending blew me away! From the beginning of the book, I was hooked. There were simple phrases that would grab you and you would wonder why they put that there and what does it mean? And after each sentence was more things that I had questions for. I had to keep reading, I had to know more! Once Landon realizes that Presley the new girl can see him, a boy 5 months dead, he needs to know why. Then he kind of observes her. Then he starts to fall for her! He knows that isn’t possible but it happens all the same. Landon hasn’t moved on. He watches his family and sees that his twin sister, VIolet isn’t doing well with his loss. Landon’s cousin Reese notices Presley too. And there is a connection between them. For awhile, Presley sees Landon but only knows him as Krew. She doesn’t realize he is dead. As the reader, we see how this is going to go when she figures things out! But Presley is falling for him so why would she think anything is wrong with their relationship besides no kisses and no texts or phone calls. He gives little lies about those to not make her upset about it. Meanwhile, Landon needs to move on. He has a guide; James. James tells him about the Vigilum. They are those who are dark who can’t move on and who are looking for passage to move on. Passage that they try to take from the newly departed so they can move on and take that person's own ability to move on. They are dark and in my opinion evil. They are watching Landon and finding his weaknesses to find a way to get his passage. They find the weaknesses in Reese for wanting Presley, Violet for her not moving on with the living, and in Presley because Landon loves her. And they are very creative in making problems so they can get his passage. Liam is the head one and he is evil and determined! Landon and Presley learn later why she can see the dead. That is a crucial change in the story at that point. Presley and Landon learn something else that may change the course of moving on for both of them, which may be far more worse for all. I loved their chemistry and although once you're dead you are dead, I still had hope! I loved how Presley loved her autistic brother and that she was his main care giver. Presley’s new friends at school also accepted him. Presley’s mother, who is the principal, wasn’t very good with him. The story is believable. I ate it up quickly but I wanted more to the story.There were still questions unanswered. There are questions at the end of the book to ponder on, which I did! I look forward to reading more from these authors! Oh and trust me, my review gives absolutely no hint at how it ends, and it is a very different ending than I have ever read before. SO don’t think you know how it ends. Because I can guarantee you don’t know until you read it for yourself. If you like the movie Ghost, skiing, Olympics, piano, good vs evil, a twist in a story, a different kind of story, doing whatever it takes to be with the one you want, autism, then this might be for you! • Catina Haverlock graduated number four in her class at the University ofNevada, Las Vegas with a BA in broadcast and print journalism. She spentseven years writing professionally (all marketing, public relations, pressreleases, professional proposals, and biographies) for a "Big 4" publicaccounting firm. She has appeared on several radio and television programs todiscuss autism, and co-founded an autism school in Las Vegas.• Angela Larkin wrote pointed opinion pieces for her university newspaper. Shecurrently writes for Disney Interactive sharing her experiences as a mother to achild with health challenges. In addition, she has reached tens of thousands ofreaders through her contributions to Kiki and Company, a popular lifestyleblog.